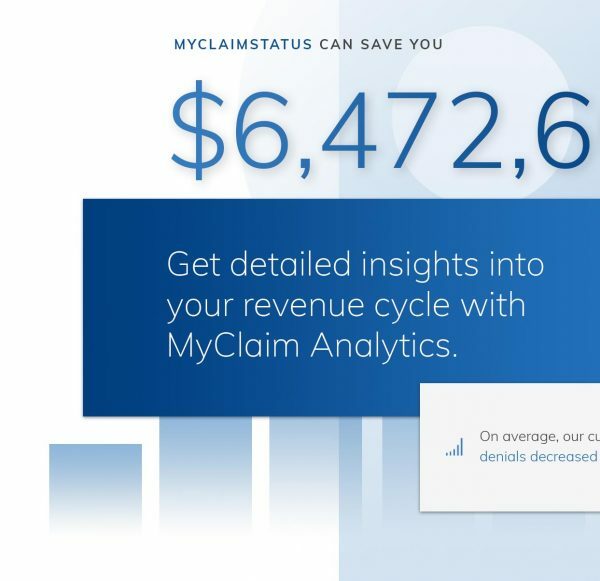 MedX (Medical Payment Exchange) helps healthcare providers and insurance companies use big data to make smarter decisions boosting their bottom line. 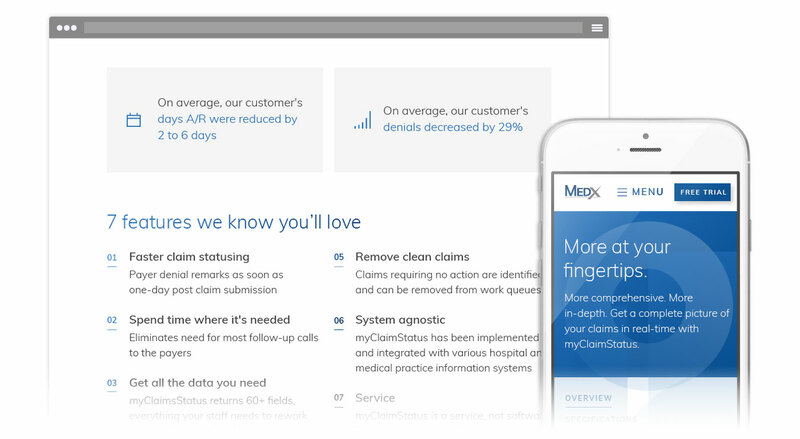 MedX’s software is a perfect fit for accounting departments bogged down with the tedious nature of tracking, managing and acting on outstanding claims. 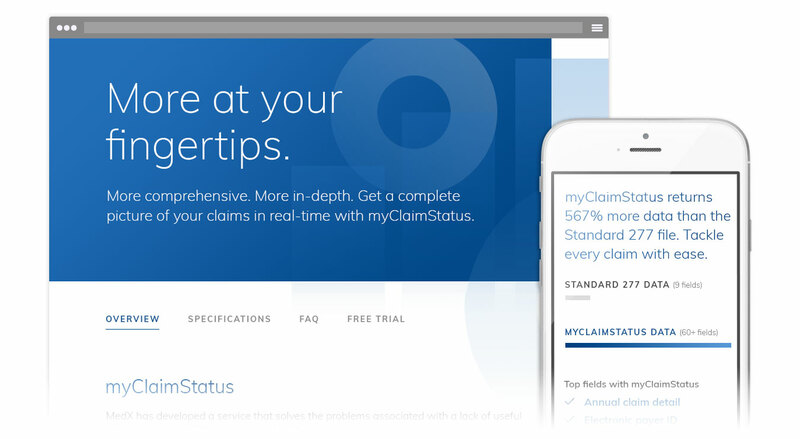 Clients get real-time information on all of their claims effortlessly so they act on insights backed up by hard data. For their clients, it means an opportunity to simultaneously reduce their costs while increasing their revenues. Given the industry-leading nature of their software, it was critical their website match its progressive, contemporary approach, so we pushed the boundaries to put their brand at the head of the pack. The website is chock-full of dynamic animating graphics coupled with a minimalist layout to focus visitors’ attention on MedX’s message. 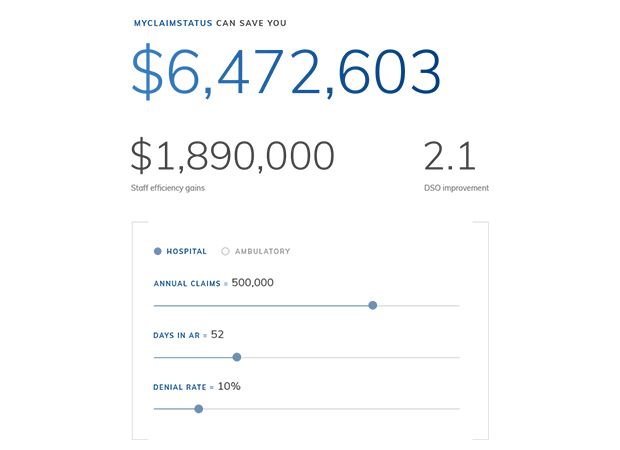 The key decision-maker in the selection of their product is the ever-busy healthcare CFO. 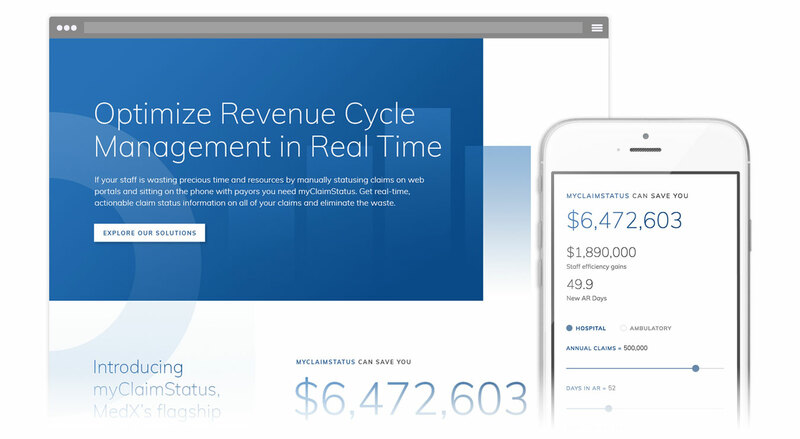 To capture their attention immediately, we integrated a calculator on the home page making it possible for a hurried CFO to quickly calculate the bottom-line impact of MedX software.